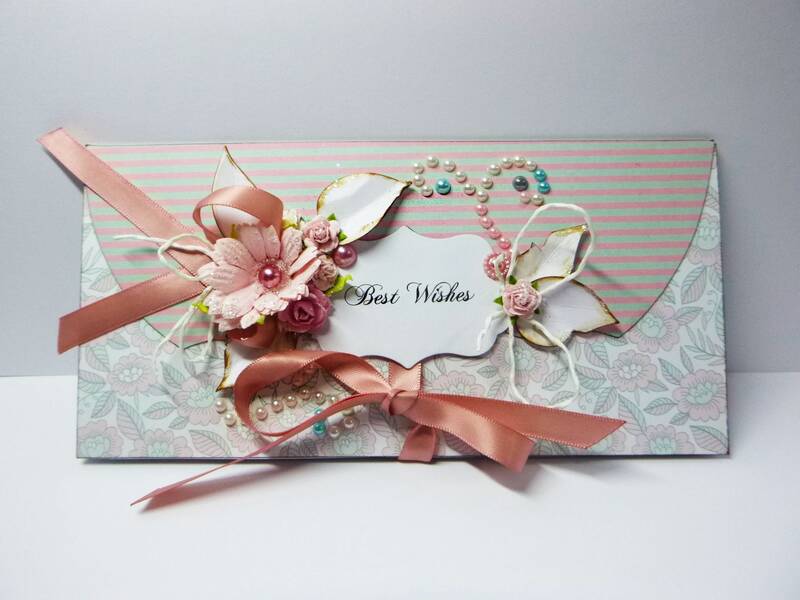 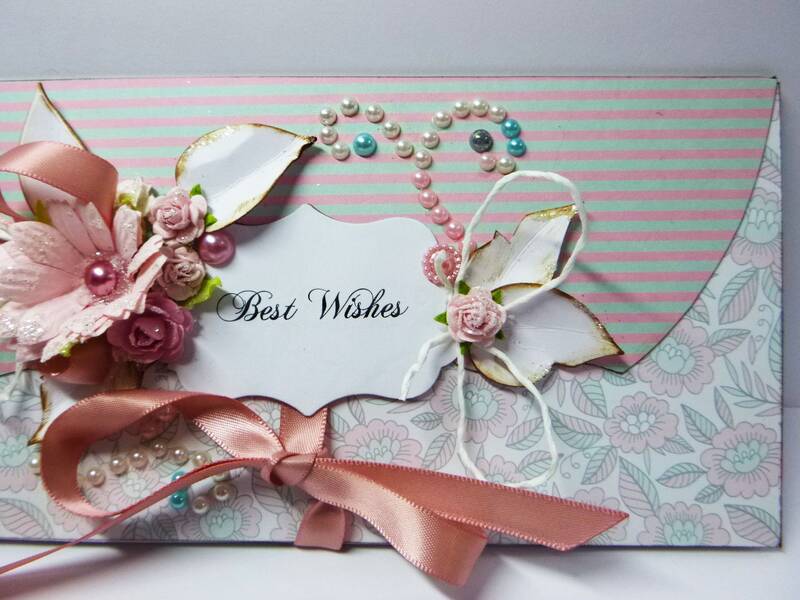 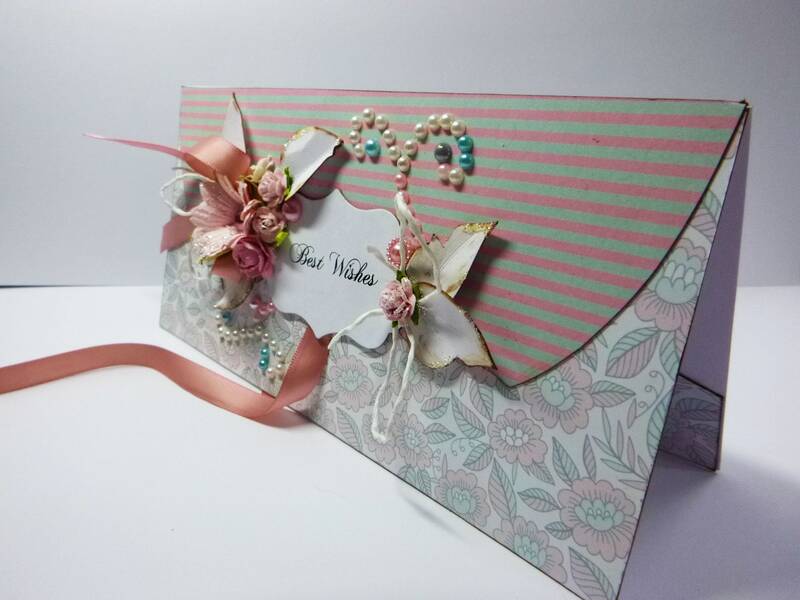 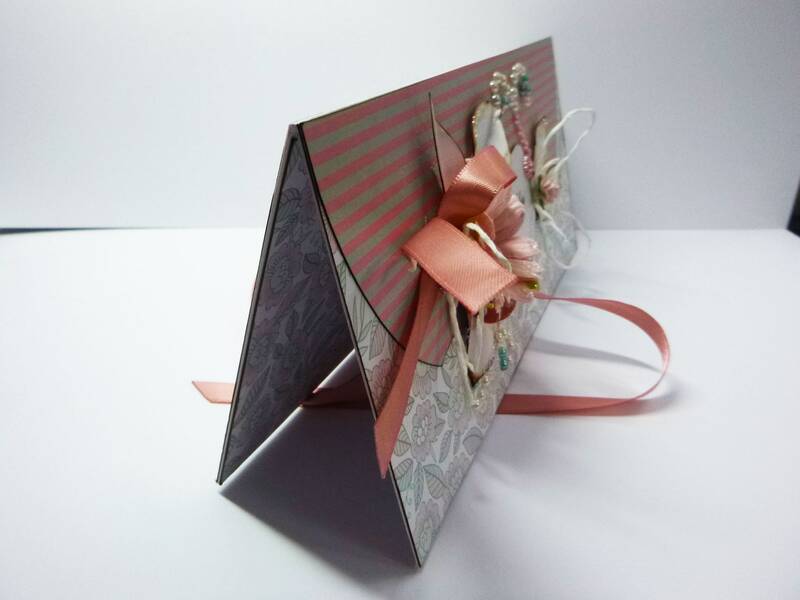 A gift/money wallet card, the sentiment says, Best wishes so it can be used for Birthday, Anniversary, Wedding or any occasion you wish. 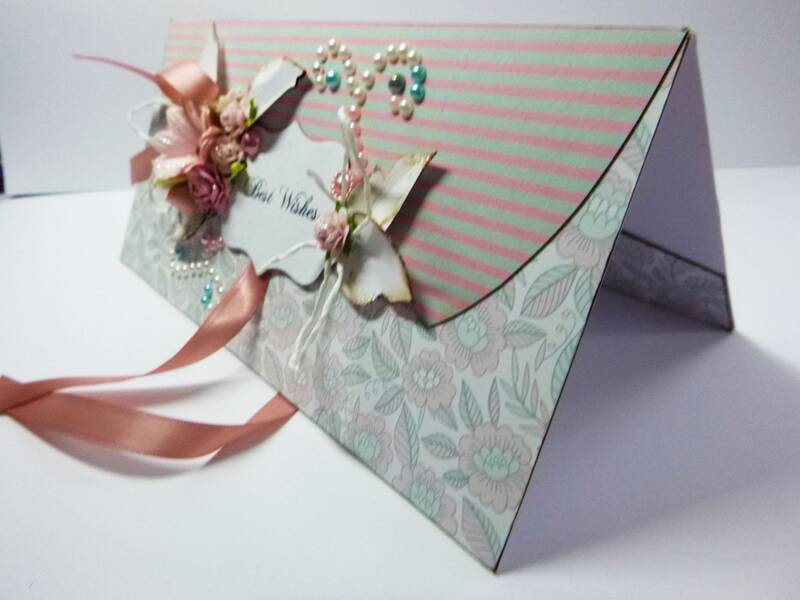 Decorated with flowers ribbon and string bows with glitter and pearl embellishment. 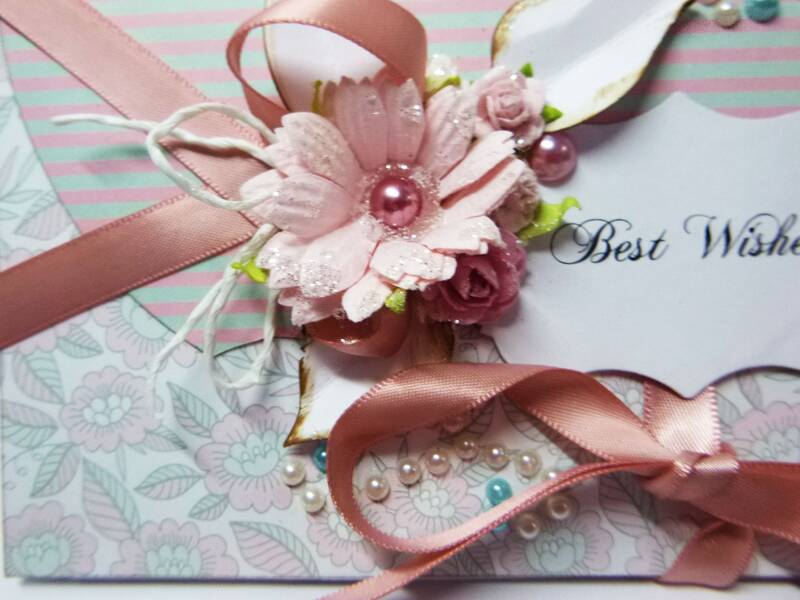 Tied with a pink ribbon. 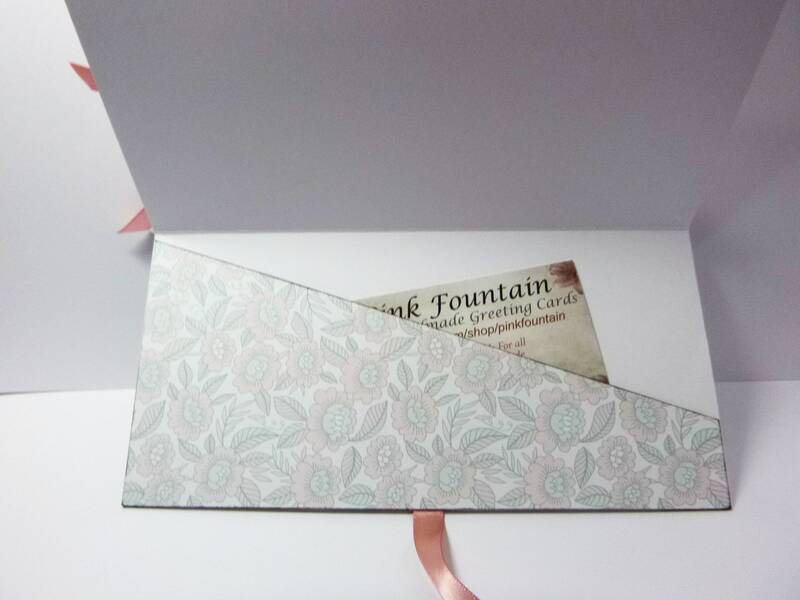 Inside is a pocket for the money/gift card. 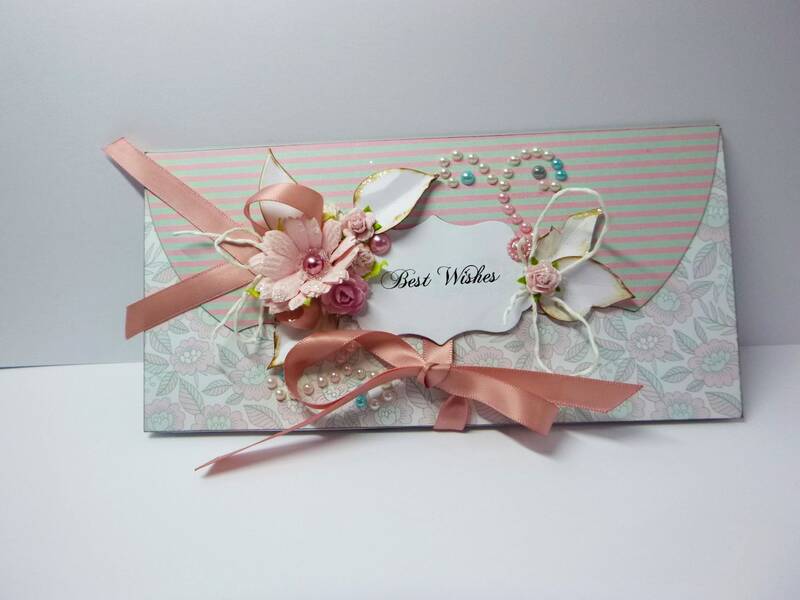 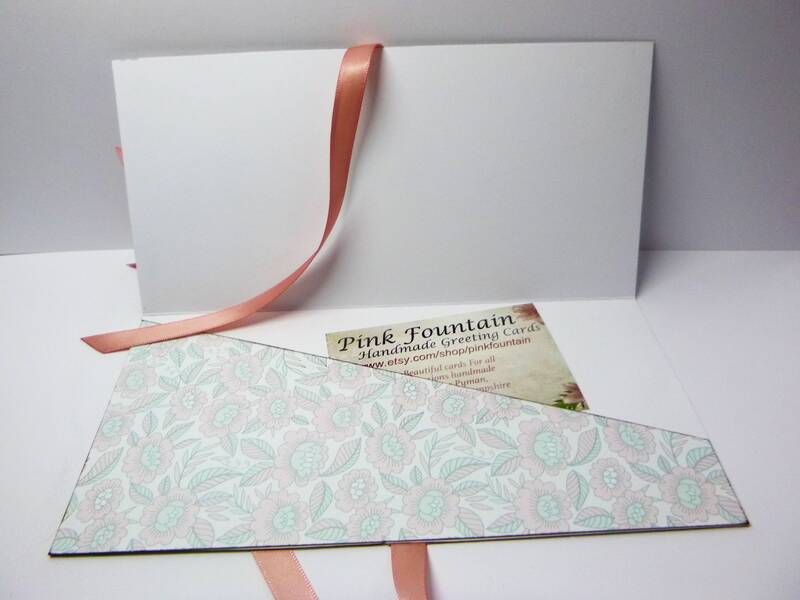 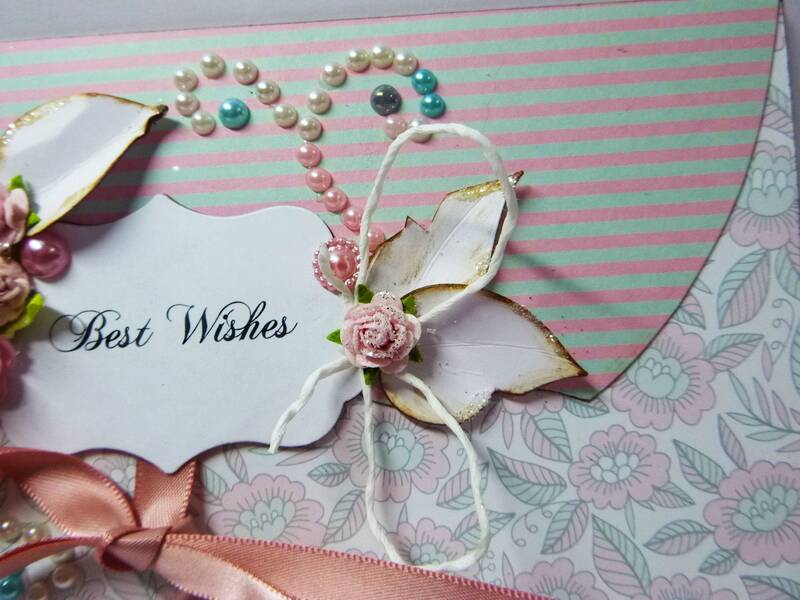 The card measures 4 inch x 8 inch, 10 cm x 20 cm, includes a white envelope.